After seven months of waiting to hear whether I had been accepted to the program and another month of waiting to hear about my destination, I have finally received word that I am being placed as a Fulbright English Teaching Assistant in Elabuga, Tatarstan! My dad commented that every time I head back to the Motherland I seem to be going east, and indeed, Elabuga is yet another step eastward from the more well-known cities of Moscow and St. Petersburg. 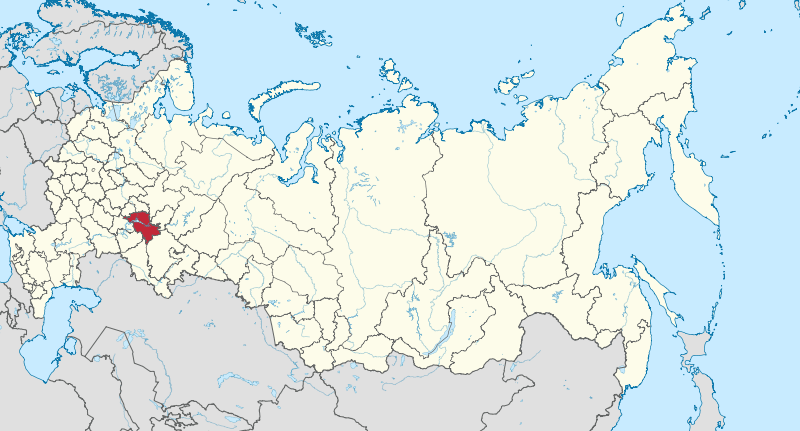 Elabuga is a small city of about 70,000 located in Tatarstan, a republic within Russia whose primary religion is Islam. This will not be my first time in Tatarstan, as my study-abroad group in 2010 traveled to its capital, Kazan, on a weekend excursion. Upon doing a little research on the city I’m going to be working in, my first reactions were be-yu-tee-full! With lush, wild countryside coupled with the charming architecture of a city not tainted with the monotony of modernization, I have a feeling this Maine girl is going to feel right at home. The description that hooked me, though, in one of the many online articles that I read was that it, “feels like one has walked into one of Chekhov’s short stories.” Tantalizing. Absolutely tantalizing.